Do you support leagues on mobile? Yes, we have the highest rated mobile apps on iOS and Android. 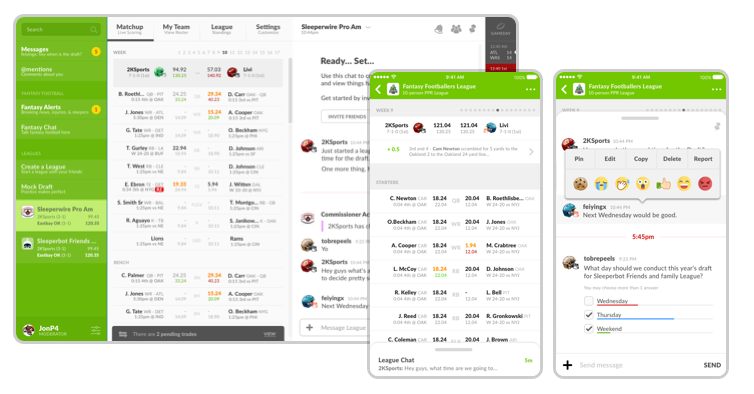 We are also the only platform to have native desktop apps for Mac & PC, which greatly increase your league experience. Draft and manage your teams from any device, no matter where you are.